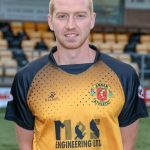 Annan Athletic FC shared a post. It’s match day and today we head to Hampden Park to face a Queens Park side who are unbeaten in their last six matches. Tonight the Colts finish off their home campaign against League winners Stranraer at Galabank. Annan Athletic FC shared a photo. Learn more about the club's involvement in the local community projects.